Days: Monday, Saturday, and Sunday or other days by request. Planning to propose? Are you celebrating a special anniversary? 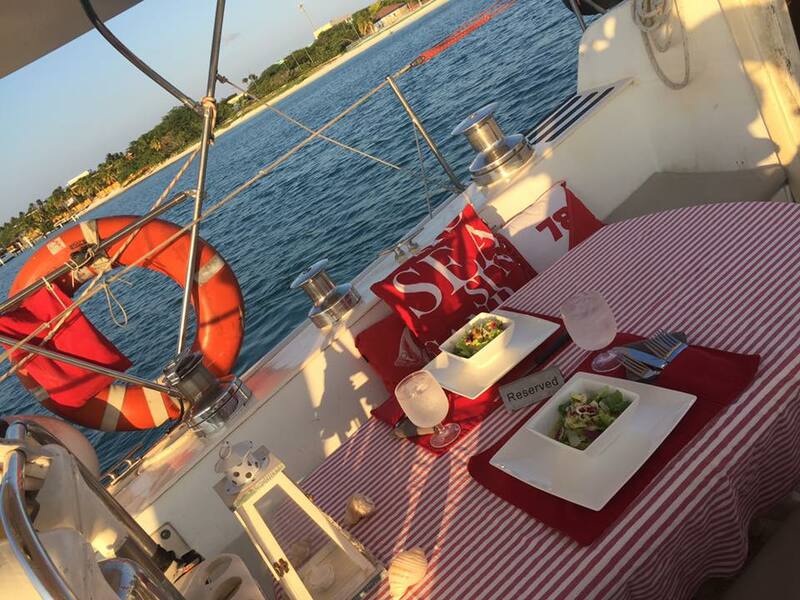 Our romantic dinner sail for two is a great way to escape and to enjoy each other in a very romantic setting on your very own private sailing yacht. Captain Anthony’s love for cooking comes from his mom. Seafood is his specialty, and here in Aruba it’s caught fresh the same day. Argentine steaks, authentic local Aruban dishes and much more are available. 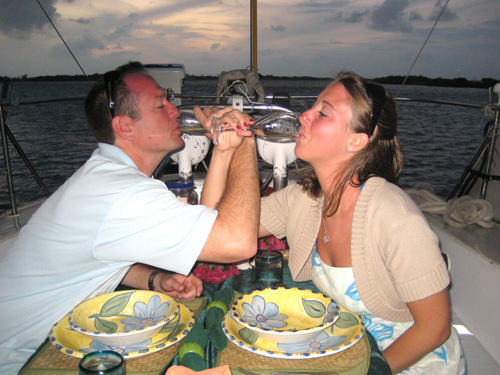 This four courses dinner sail includes a bottle of house wine and an open bar. Champagne and any other specialties can be arranged.